Grand Theft Auto V was made available today for Xbox One and PlayStation 4. The title was re-released with exclusive content including character customization, 30 player lobbies, first person viewing, and double the amount of props in the Creator. This update was only made available to next generation consoles. Though today was an exciting day for the GTA community, it did not go off without some minor complications. Many players experienced transferring issues from the older gaming platforms and current gen ones. Previous character data was reported to have been lost or not found during the transfer. 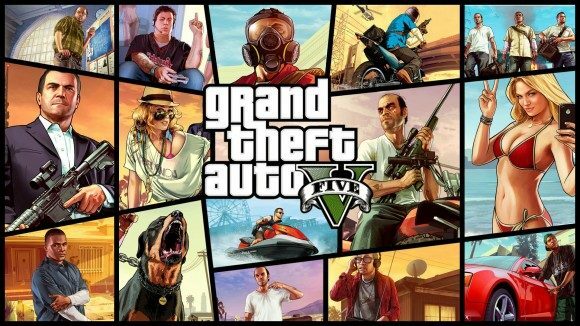 The issue seems to primarily affect players that have not played GTA V since 2013. During its launch last year, Rockstar reported similar issues with character progress being lost, freezing during game play, and prolonged wait times. To prevent the same problem from occurring, Rockstar allowed players to pre-download the game along with a day one patch for any final tweaking. Though preventative measures were taken to avoid any major complications from the update, PlayStation 4 and Xbox One users were reporting problems with the day one patch. Apparently a bug related to the patch was preventing players from accessing the online game play, causing the consoles to completely reject the update. Currently the developers are working to correct the problem for PlayStation 4 users today while Xbox One players should have a patch available tomorrow. Any PS4 players who are currently still experiencing downloading issues are recommended to try re-downloading the update later on today. The issue seems to be affecting players regionally and the patch may not be available in that area yet. Every launch date is never without its issues and the GTA community is no stranger to that problem. Hopefully all issues will get resolved quickly so that everyone will be able to experience the new content. GTA V was released today for both PlayStation 4 and Xbox One.